It's always great to see creators return to drawing their own creations, and Marc and Cyber Force are no exception. Just read below! 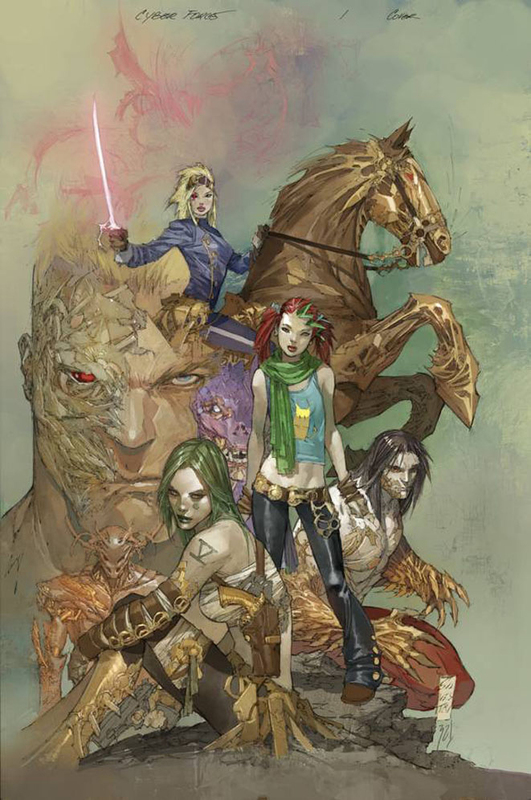 Image says: TOP COW'S TOP-SELLING SERIES RETURNS IN A GROUND-BREAKING WAY! Top Cow celebrates its 20th anniversary with the return of the series that started it all: CYBER FORCE! 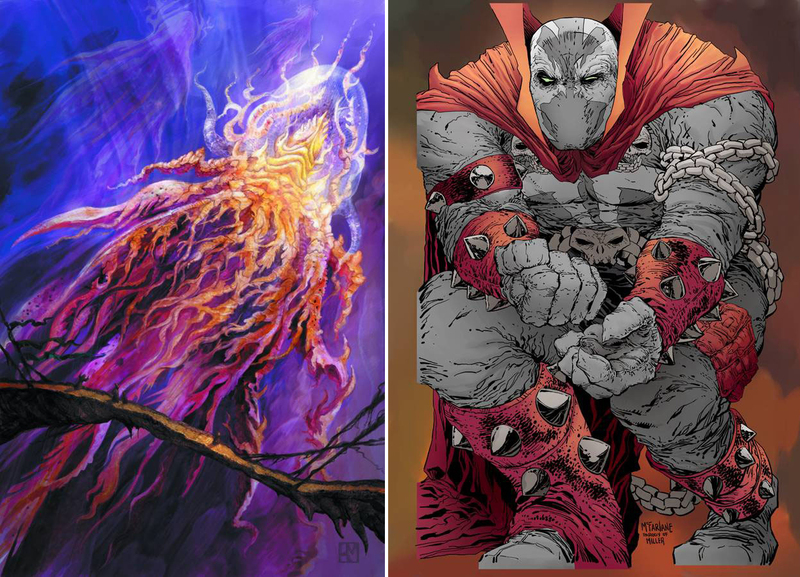 Top Cow founder MARC SILVESTRI returns to his first Image series as co-writer, art director and cover artist! Co-writer MATT HAWKINS and artist KHOI PHAM join SILVESTRI to bring you a contemporary re-imagining rooted in cutting edge, real world technology. Carin Taylor, codenamed Velocity, has escaped from the CDI controlled Millennium City and is desperately trying to find the one man she believes can help her prevent the end of the world. When she runs a group of other CDI escapees, will they help her... or turn their backs? 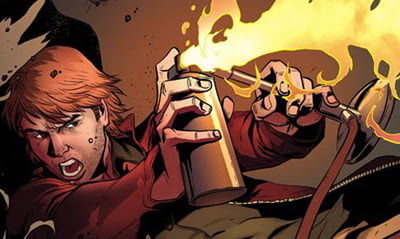 Not content in pushing the envelope just in terms of story and art, Top Cow will be the first major US comic publisher to launch one of their biggest properties with top tier creators concurrently for both the traditional print market and exploding worldwide digital market for FREE. That's right: Thanks to the support of fans through Kickstarter and participating comic shops, you can get the first FIVE issues of CYBER FORCE at no cost! Helen Maier - Prophet #30 Is this dude is part Mysterio or part Jellyfish? Either way, with how Helen has him, he is all-round cool! Todd McFarlane - Spawn #224 In a tip of the hat to Frank Miller's Dark Knight Returns, Todd's Spawn cover shows a supernatural warrior who may not be as lean as usual, but is still ready for a fight. What do you think? Sound off below. For October 2012 solicits from other publishers as they're released click here, or for Image's full October line-up, follow the jump! A Macguyver comic book? I never thought I'd see the day....cool beans. Such a big fan back in the day, for good on ya' for Image in doing this then. I also was big fan of Cyberforce and almost every thing from Top Cow comics back then, so I'm extremely pleased Silvestri's bringing them back out. I am curious though, because from the sound of the synopsis, it seems like he's doing a mini-reboot of CF? Is that true? I guess as long as it's done right, then that's cool and all, but wow. hey Dale! Yip ol' MG is back and I don't think anyone saw his revival coming ha. Still thats the 80's I guess. Heck all my mates at the time had the haircut and played his adventures at school, so I guess I was a fan too. As for Cyber Force - yip reimagined and Free! Crazy but true!